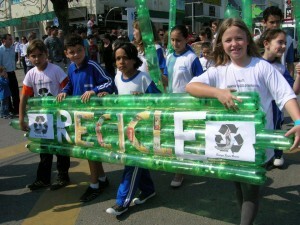 Plastics, recycling and repurposing trash seem to come up a lot on Feel Good Friday. This time, we take a look at an inventive project happening in Brazil! 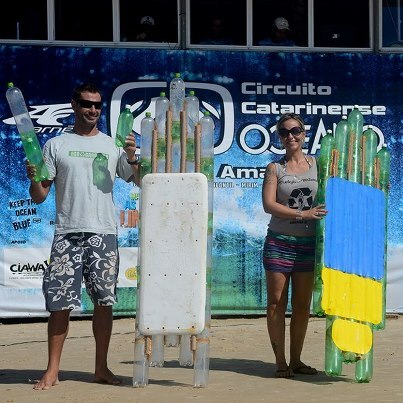 Surfer, Jairo Lumertz and his girlfriend Carolina Scorsin promote his invention of an "eco surfboard" to encourage children to learn how to surf and to keep plastic waste out of the oceans. The surfboards are made of plastic bottles supported by PVC tubes and glue. The bottles are treated with dry ice to make them stronger and more buoyant. It takes 41 bottles for a standard surfboard and 73 bottles for a stand up padddleboard. I'm a fan of the latter because it keeps more bottles from the trash as seems harder to fall off of. Not only are the surfboards eco-friendly, but at a cost of $100 vs. $2,000 - $5,000, they're also affordable! 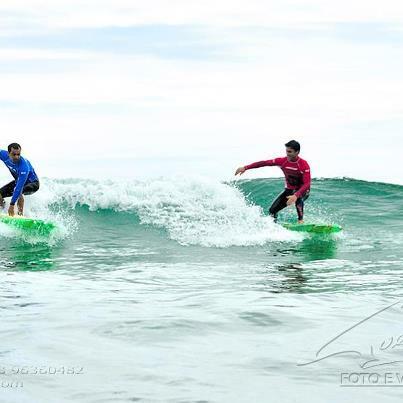 You can learn a little more about the Eco Surfboard Project in this longer article from the Epoch Times or, if you speak Portuguese, a search for Projeto Prancha Ecológica will lead you to tons more information. If you don't speak Portuguese, this 1:22 minute video will you a great idea of the project. And you can always like them on Facebook. I do!